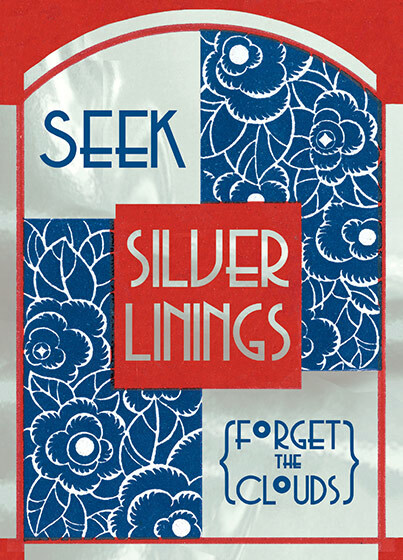 A message on a flowered French background, with silver foil additions. Our notecards are custom designed at our location in Seattle, WA. They come bagged with an envelope. We love illustration art from old children's books and early, designed ephemera. These cards reflect this interest in bringing delightful art back to life.